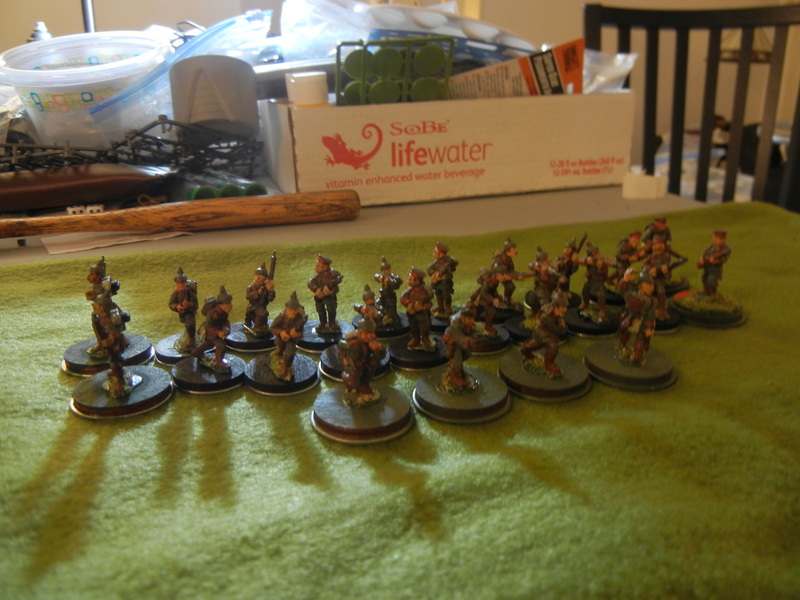 Well, now that I am off to Mars as it were, it’s time to get the troops painted and organized. I’m choosing a 1:10 figure to actual troops ratio. I am going to organize them according to the “Soldiers Companion” by Frank Chadwick. This is a fine set of rules for company level skirmish gaming that was first published in August of 1989. The units themselves are organized into 20 figure infantry companies and cavalry squadrons and 3 gun artillery batteries. That would make each cavalry and infantry unit equal to 200 men (or Martians). The only exception to this were the Americans who were organized in 10 figure units which equaled 100 men. This was the standard size for an American infantry company. However, it was also the standard size for a British company as well. To this day, I am still not clear on why the US was singled out in this manner. However, I decided to go ahead and use the actual company strengths for the infantry companies of various nationalities. Here is the first figure. 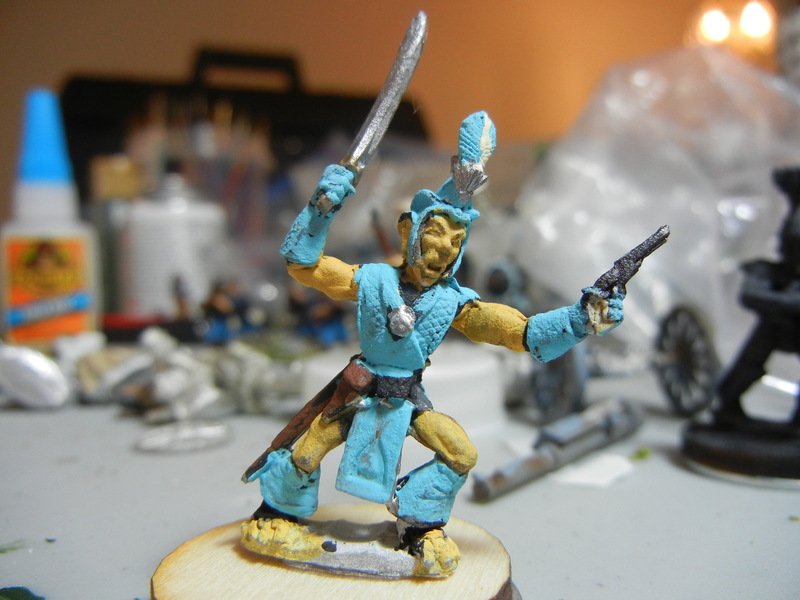 This is a Canal Martian Legionary Officer. Along with his traditional sword, he also carries a modern revolver made on Earth. The light blue color is the color of the Oenotrian Empire’s 15th Legion. 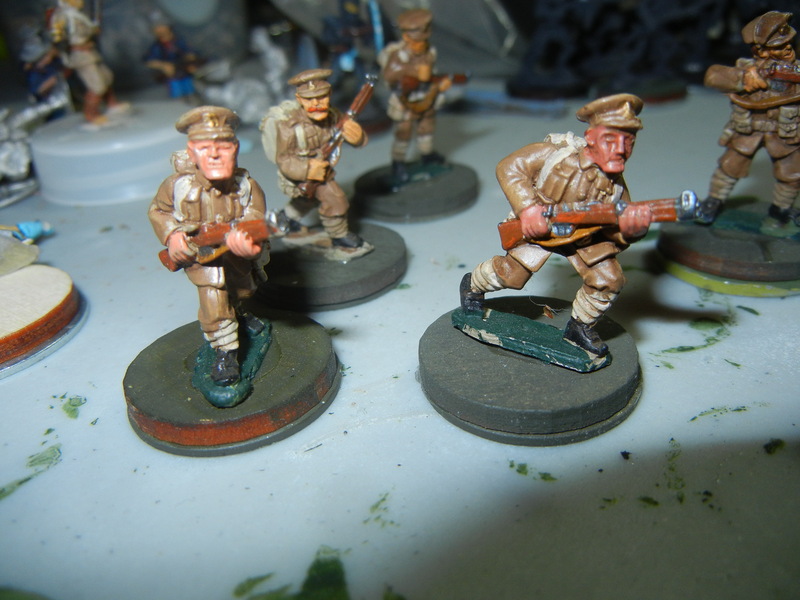 Martian Colonial Infantry NCO. 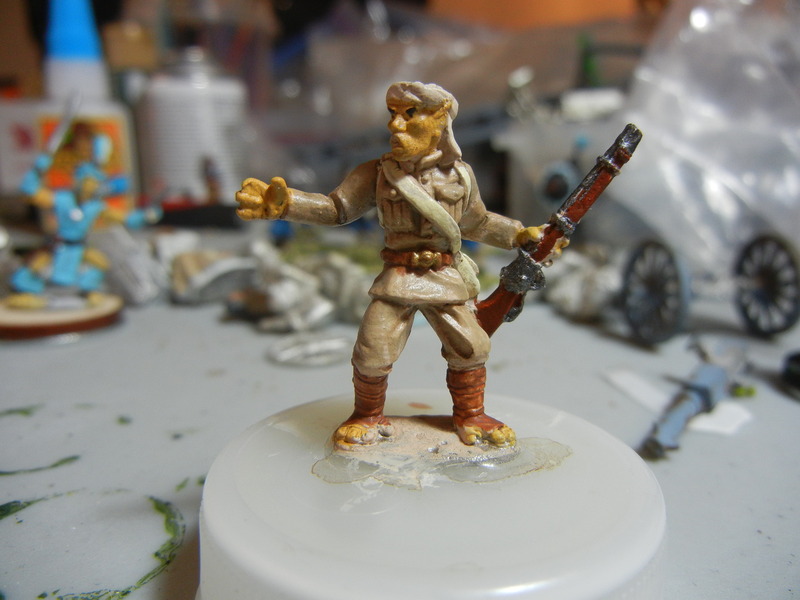 This could also be an Infantry NCO from the Tossian Empire…and it probably will be. 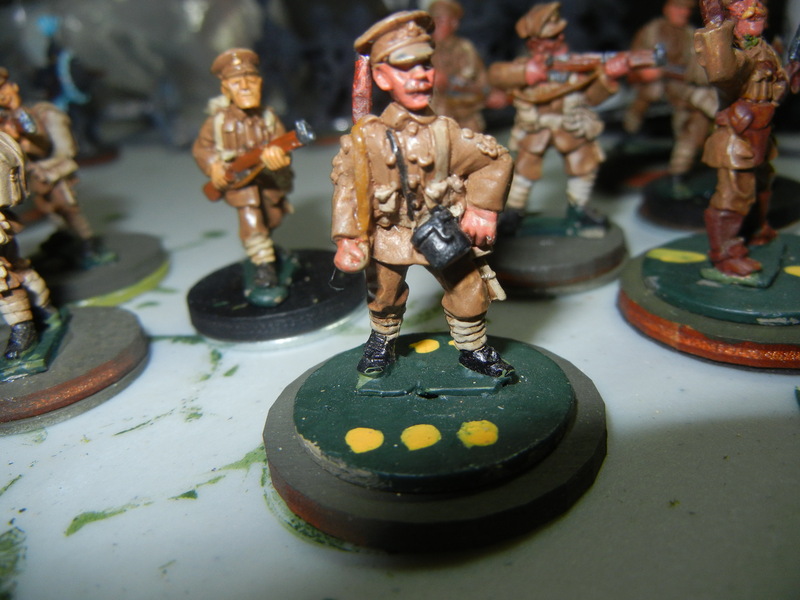 A stalwart British officer. He’s actually wearing the 1908 issue uniform and gear but hey, this is Space:1889 so things should be a little more modern. 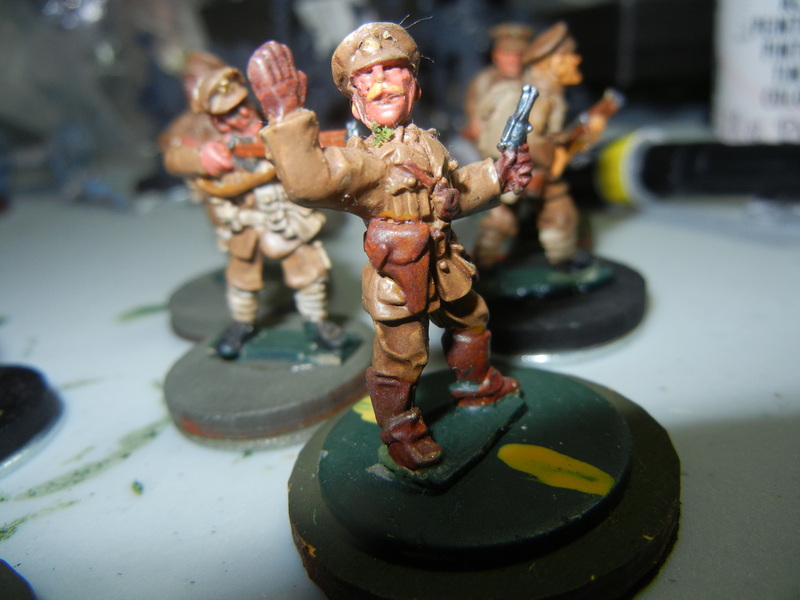 And of course the Colour Sergeant. Some of the “lads” as well. Well, I think that will do it for now. Stay tuned for Part 2 in which the Germans rear their ugly heads! Welcome to the Red Planet! This is a map of Mars in the world of Space:1889. I have been adventuring on this world since GDW first released this game in 1989. Mars as envisioned by Frank Chadwick for the Space:1889 Role-Playing Game. Geographically, it is dry dusty old world that is filled with the ruins of a once great civilization. Along the canals, you can see the locations of the various city states that are home to the Canal Martians. The green areas are the old sea beds while the brown are the uplands. The mountains are home to the savage Beast Men while the great steppes and deserts are claimed by the Hill Martians. Humans first arrived on Mars in 1870 when Thomas Edison and Jack Armstrong made the voyage in Edison’s new Aether Flyer. By 1889, several of Earth’s Great Powers had staked claims to parts of Mars with the British Empire holding the largest part followed closely by King Leopold of Belgium. Japan, Russia, Germany, and France are also on Mars leading to what at times can be a very volatile situation. So…Welcome to Mars! Check your expedition’s supplies…hire a trustworthy guide…and prepare for a Steampunk adventure.